"Aiden sat in the middle of his friends as they shaved their locks in solidarity with him. It was magic to see Aiden sitting with them, laughing and smiling. Before long all five of Aiden’s friends were bald. I looked up and to my surprise, I saw six bald heads instead of five and one hat. Aiden had removed his hat in public for the first time. He even posed for pictures with his newly bald friends. 'This is the first time I feel normal,' Aiden told me. In that one sentence, it made sense to me. I already understood the fundraising, but I didn’t understand the shaving until that moment. The power of solidarity, the selflessness of the act of shaving, all making the statement, ‘You are not alone.’"
Aiden Binkley is one of 1,600 St. Baldrick's Foundation honored kids. 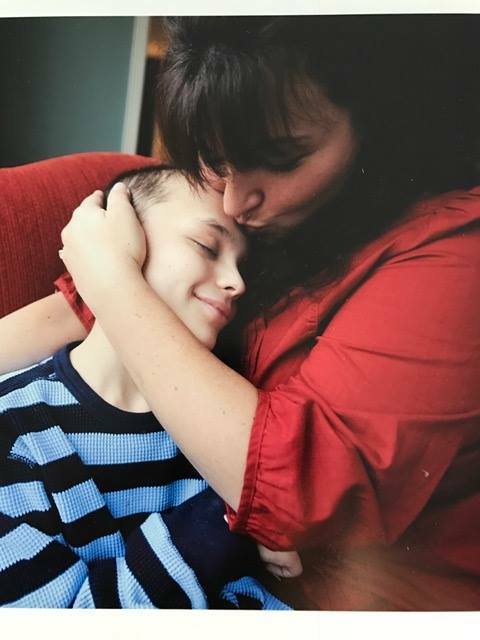 Aiden was 11 years old when he became an angel on December 30, 2010, due to Rhabdomyosarcoma. 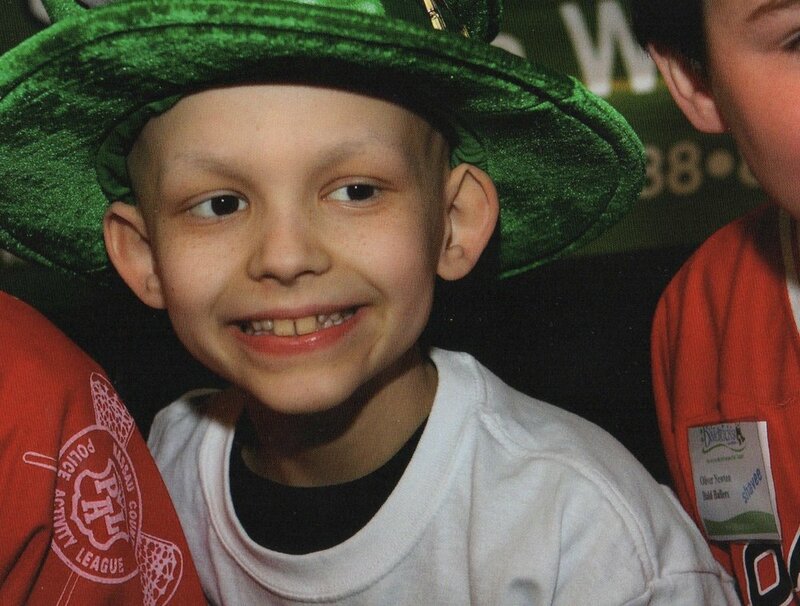 The success of his hometown, Floral Park, New York, annual St. Baldrick's Shave Event and Ladies Night honor his memory.